People often ask John and Kathy, “How has your company managed to survive for over 100 years and 4 generations when so many others have not?”. Part of the answer may be that the family has a tradition of adopting advances in technology and John has been a driving force in this area. His father, Jack brought 3D mechanical engraving to the company back in the 1950’s and was widely respected by local industry for his ability to work with engineers and toolmakers to design tooling for complex metal forming and embossing projects. 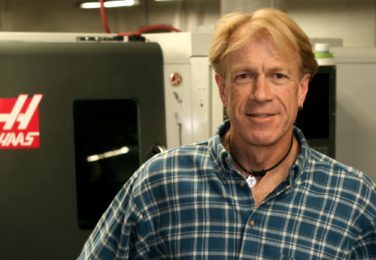 With the purchase of the company’s first CNC Machining Center and Laser Digitizer in 1980’s, John led the transition from a manual machining and engraving shop to a company that excels at micro-machining, mold and die engraving, high speed machining of part holding fixtures and end effectors for gripping products in automated assembly lines. This focus on remaining current with the latest in hardware, software and machinery combined with John’s early apprenticeship as a journeyman engraver, has given Schwerdtle a competitive edge when it comes to building tools to get our customer’s art on their part.